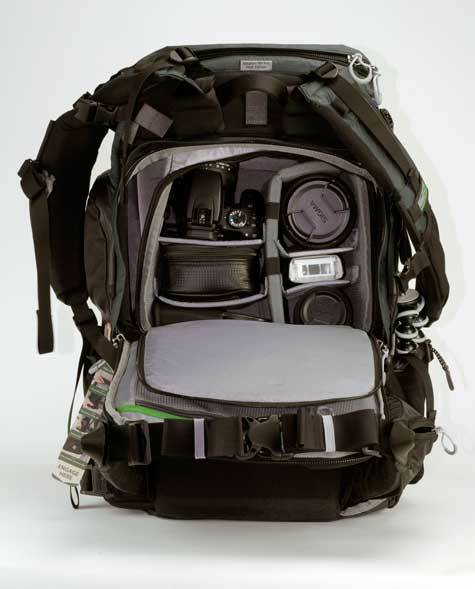 Photographers love camera bags. Many of us have several bags varying in size and configuration to fit various missions. I am not immune to this addiction. I just counted the photo bags I have on the shelf and I don’t want to share that number with you. The people at MindShift Gear have added to this galaxy of choices with the Rotation 180. This is a backpack style bag that has superior fit, finish, build quality and materials. The attention to detail extends to design with the photographer’s mind in mind. Just walking down the street it appears like a plain old backpack and does not announce that it can contain several thousand dollars of equipment waiting to be converted into cash. But, in use, both the upper and lower sections are accessible without taking the pack off and laying it on the ground; thus keeping the pack and your equipment clean, dry, and in your control. 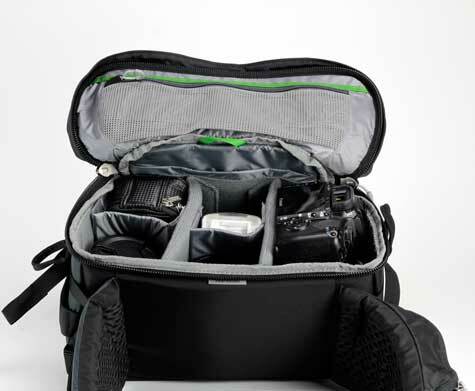 There is a built in Belt Pack that can be released from the main pack and slid around on your waist to allow access to a compartment large enough to fit a professional size DSLR with 70-200mm lens or a smaller camera with a few lenses. Need to dig deeper? Well, you can release the shoulder straps, swivel the whole pack around to the front, and access the main compartment from the surface that was against your back a few seconds ago. This upper inner pack will hold a whole bunch of gear, seemingly enough room to outfit a National Geographic photo expedition to the Matterhorn. Warning: if you fill this pack with glass and gear you will need a strong back and a large helping of stamina to haul the resulting load around. 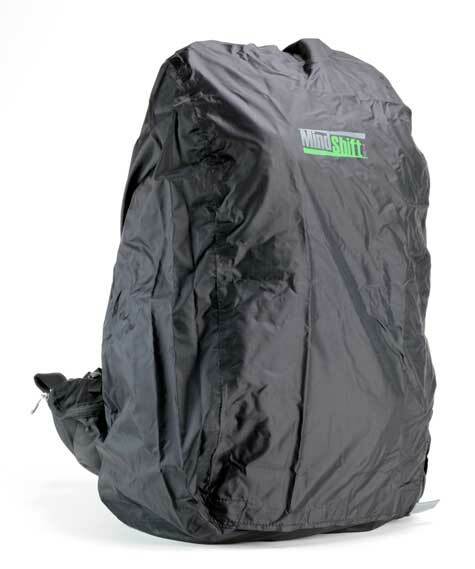 The Rotation 180 comes with two rain covers: one for the main pack and one for the Belt Pack if you are to use it in its standalone role. 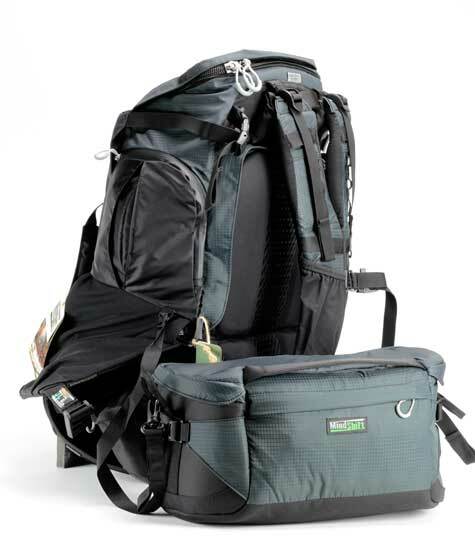 If the inner pack in the upper compartment is removed the empty space can be used for food and clothing for an overnight trip, leaving the lower Belt Pack available for camera gear. The high quality zippers have oversized pulls that will work easily with gloved fingers. There are straps, adjustments, and pockets all over this professional bag, including a purpose-made water bladder pocket with a clip to prevent a partially filled bladder from collapsing on itself and blocking the sipping tube. 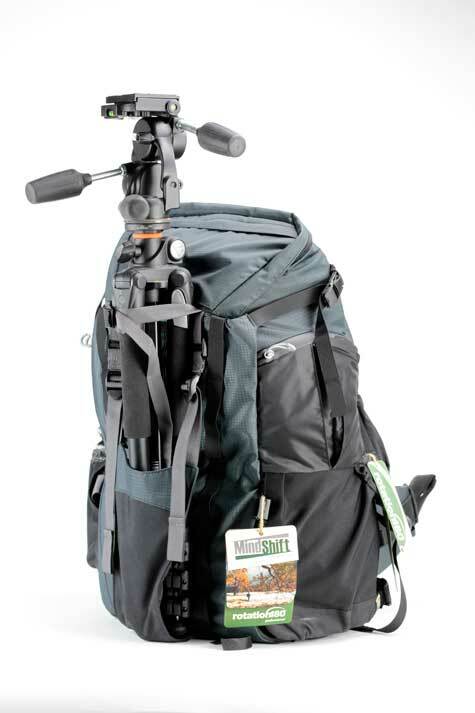 There are multiple options to strap external loads on the Rotation 180 such as a tripod or a small tent. This bag isn’t for everyone, but if your mission calls for lots of gear over long walks hikes or treks, then this combo pack may find a coveted place on your shelf when it is not on your back. Editor’s note: we just received the following from the manufacturer. In an effort to reduce our environmental footprint, we chose to make the instructions on how to use different features available solely as videos. I hope these help enhance your enjoyment of the backpack. Additional review with more photos and commentary is here.